Filled with enchanting scenery and captivating landscapes, Norway is a country of true natural beauty. Home to some of the most majestic and breath-taking sights in the world, get up close to cascading waterfalls, incredible glaciers and dramatic peaks, as well as modern metropolitan cities steeped in history. Discover all this and more with Bolsover Cruise Club, on our extensive selection of Norway fjord cruises. 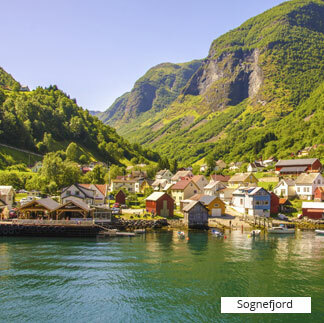 Sailing through Norway’s famous fjords, you’ll be greeted by snow dusted mountains, quaint wooden houses and vast expanses of greenery. Cruising through rivers, you’ll be in awe of your impressive surroundings, from the dramatic ice-formed landscapes to the small traditional villages and vibrant cities. On top of this, take a Norwegian fjords cruise during the winter and you may glimpse the dazzling Northern Lights. On our Norwegian fjord cruises, you’re in control. 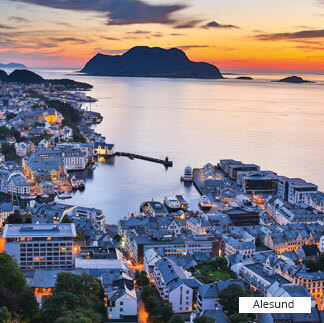 Whether you want to relax and explore at your own pace, or enjoy more of an adrenaline-fuelled adventure, you can visit galleries and museums in Oslo and sample Nordic recipes in Bergen, or go kayaking through bright blue waters before getting closer to Norway’s incredible wildlife, including whales and puffins. 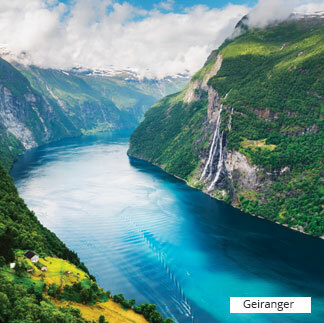 From the Seven Sisters Waterfall and the Briksdal Glacier, to Pulpit Rock and the UNESCO World Heritage fjords at Geirangerfjord and Nerøyfjord, a Norway fjord cruise is a unique and inspiring experience. At Bolsover Cruise Club, we know that a fantastic holiday is about more than just the cruise. That’s why we offer award-winning customer service and your own cruise expert for an amazing experience from start to finish.